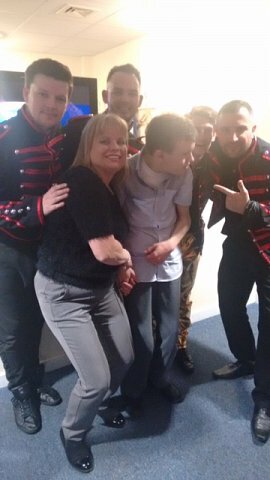 Our applicant Nathan went to Colchester United’s Weston Homes Stadium recently to see a Take That Tribute Band. His mum Sue reports that they had such a good time that Nathan even had a little boogie as well as a great sing-a-long. The boys in the band even posed for a picture afterwards.